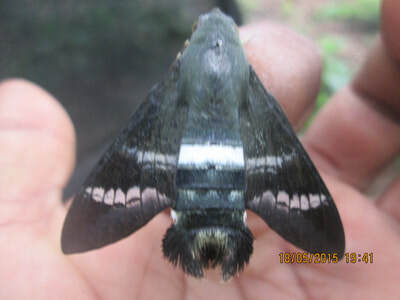 Adult description: This is a very small day-flying sphingid with forewings 29-35mm in length (1). Aellopos species are quite tricky to differentiate. 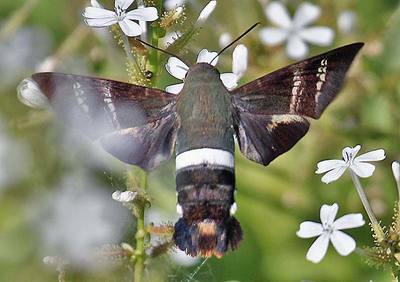 All species have the same overall appearance, brown/black forewings with various amounts of white patterning and a thick white abdominal segment. Aellopos fadus can be differentiated from Aellopos titan by the lack of a well defined black dot in the discal cell and by the addition of 1-2 more (generally 3-6 total) white dots in the submarginal area, often a few divided in half by a thin black line(1). Aellopos tantalus is easily separable from this species by the lack of white checkering in the submarginal area. To separate it from Aellopos clavipes which usually has 3 white marks in the submarginal band (this species usually has more), examine the bar that descends from halfway through the forewing (where the discal spot is in Aellopos clavipes but absent in this species). If it’s not distinctly white, you have Aellopos fadus. The hindwings are black with a very small grayish margin at the top. 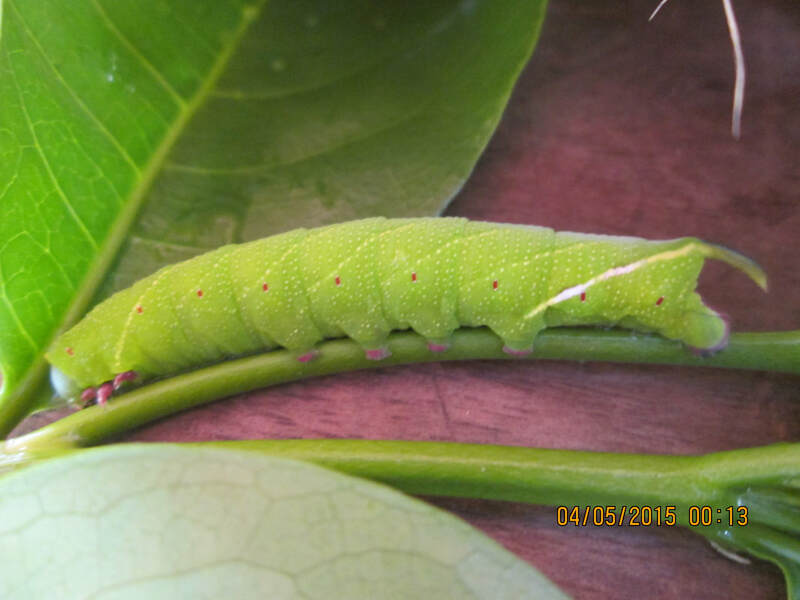 L5: The larva may be green or red with 7 white and black diagonal abdominal streaks. There is a smooth yellow collar in the green larva form, or red in the red larva form, behind the head. The white and black streaking may be reduced. There are cream colored speckles on the larva, giving it a rough appearance, but it is not granulose. 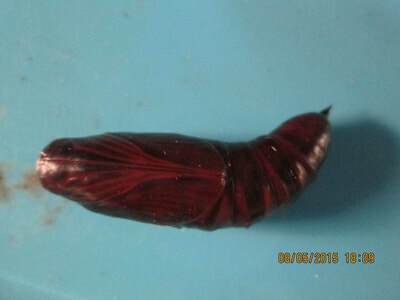 The spiracles are red and the last abdominal streak extends to the horn. 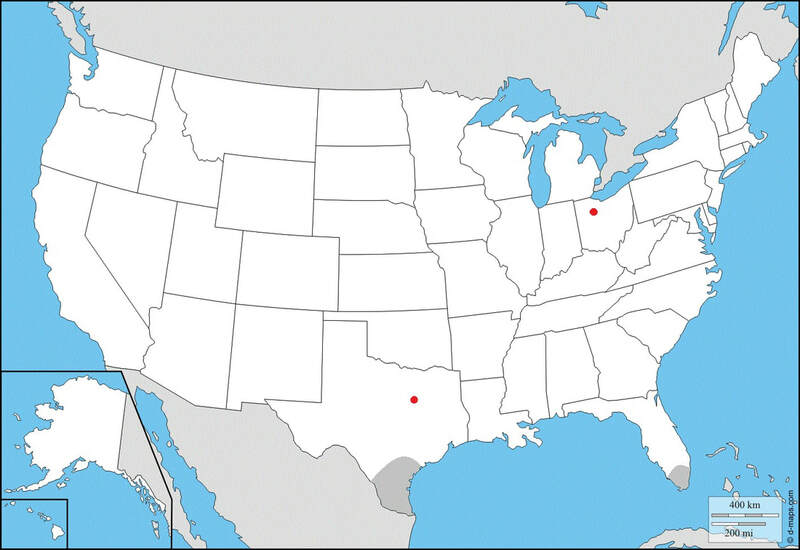 Likely only breeding in Southern Florida and perhaps Southern Texas. The gallery to the left contains photos of Aellopos fadus adults. If you have a photo that you would like to submit to us, please contact us. The gallery to the right contains photos of Aellopos fadus larval and pupal stages. If you have a photo that you would like to submit to us, please contact us.